The Hubble Space Telescope is plotting areas for the space probe New Horizons to fly to after it takes pictures of the once-planet Pluto. 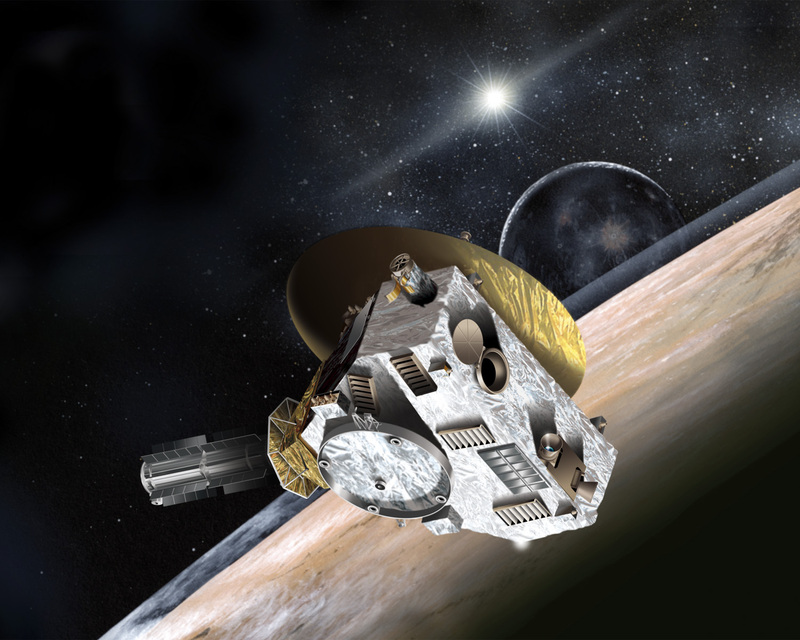 The probe is expected to reach Pluto in July of 2015, and then will look at other areas in the Kuiper Belt afterwards. The Kuiper Belt consists of icy debris that has been left over from the solar system’s formation which occurred 4.6 billion years ago, and is home to many small, icy Kuiper Belt Objects, or KBOs. A KBO has currently never been seen before. The belt is incredibly far from the sun, and stretches out into areas that have not yet been visited by a NASA probe. The Hubble Space Telescope could help identify these areas, so that the probe could plot a way to reach them. “The planned search for a suitable target for New Horizons further demonstrates how Hubble is effectively being used to support humankind’s initial reconnaissance of the solar system,” he added. NASA is planning on carrying out a test observation. They will scan an area of the sky in the direction of the constellation Sagittarius in hopes of pinpointing objects in the Kuiper Belt. The Hubble Space Telescope will then be turned at the same rate that KBOs are suspected to move at. This will hopefully result in a streaked sky, but with the KBO seen as a pinpointed object. Typically, a KBO is only the size of the city of Manhattan. While this might be large by Earth standards, it is incredibly tiny compared to the meteors, planets, and stars that populate the galaxy. New Horizons was launched in 2006 with the goal of giving humanity a better glimpse of Pluto. The Hubble Space Telescope has already helped out with that goal by pinpointing Pluto’s moons, which the probe will be visiting. One of the moons, called Charon, has cracks that might indicate a subsurface ocean. The Hubble Telescope spotted this, and New Horizons will hopefully be able to confirm if the moon really does have an ocean underneath the surface.